A walk-up lift ticket at Vail is now $209, but who’s really paying that? Lift ticket prices are up -- way up -- at ski resorts across the state. But, everyone should be getting big discounts on window prices. If you’re a skier in Colorado, what happened in Aspen back in 1987 might make you want to return to this simpler time. That’s when there was a community uproar over the resort’s audacious decision to raise the price of a one-day lift ticket to $35, prompting contentious meetings and the possibility of boycotts. Cut to 2018. Buying a day-of lift ticket at the window at Aspen will cost you $179. It’s $209 at Vail, $169 at Winter Park, and $177 at Copper Mountain. These numbers seem huge – and make a great headline – but here's the thing: Most skiers and snowboarders do not have to, and should not, pay anywhere near that. “Going to the window to buy a lift ticket is like going to the airline counter at the airport,” said Adrienne Saia Isaac, the director of marketing and communications for the National Ski Areas Association, which is based in Lakewood. Another way to phrase this? The only people who are really paying the full price for a lift ticket at the resort day-of are likely procrastinators. The rest of the skiers and riders on the mountain either have some sort of season pass, found a deal ahead of time on a site like Liftopia or bought multiple-day tickets. This can save quite a bit of money, and ski resorts actually bank on it, said Dave Belin, the director of consulting services for RRC Associates, a Boulder company that tracks data for the outdoor industry. For context, the average ticket yield at ski areas in the 2015/16 season was 47.5 percent – meaning this is how much of the walk-up price skiers and riders were actually paying, according to Transworld Snowboarding. This is also how much resorts actually hope to make per lift ticket, demonstrating just how jacked up those window prices are. It’s no secret that most companies are really putting their emphasis on drawing pass holders rather than in one-day tickets alone. The National Ski Areas Association said more than 40 percent of skiers and riders last year were pass holders in some form. A $200 one-day lift ticket might seem like a lot, but it pays for itself in only a few weekends if you have the Epic Local Pass, which was $669 this year (a full Epic pass runs for $899 – and gives skiers access to 65 resorts around the world). An Ikon Pass, which is the competing Alterra Mountain Company’s answer to Vail's Epic Pass, also costs $899, with a $599 option for Colorado-specific resorts. “The number of Ikon passes and Epic passes that get sold to people in Texas and Florida where there aren’t many ski resorts is a big number,” Belin said, adding it’s because they offer so much more value than single-day tickets, even with a discount. As a whole, the so-called “pass war” has been good for consumers, though these passes have gotten more expensive over the years. They’re still down from the late 90s, according to Transworld Snowboarding, when a season pass for Breckenridge, Keystone and Arapahoe Basin was $750, and it cost $600 at Winter Park. 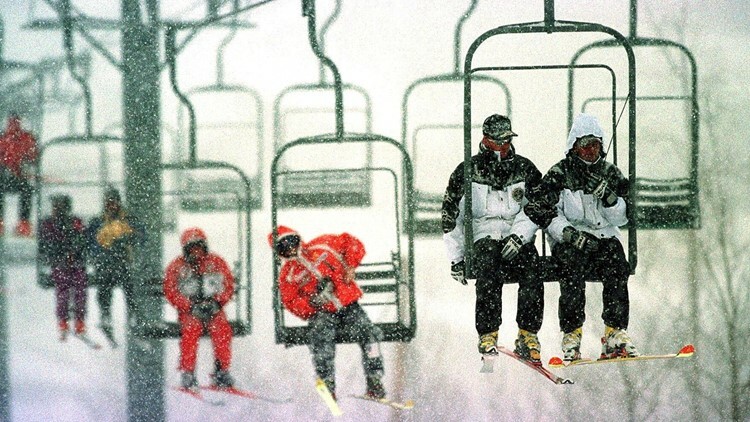 Prices dropped across the board in 1998, when Winter Park sold season passes in groups of four for $200 – a model that proved so successful that other resorts followed suit and led to a wave of early-season deals. According to a 2007 Denver Post report, the Rocky Mountain Super Pass (what was essentially an early version of the Ikon Pass) was $389 11 years ago. The Colorado Pass, which could be considered a precursor to the Epic Local Pass, was $419 at the time. And, a Copper Four Pack (which is good for four days of skiing) rose to $119 in 2007 – up from $84 in 2006. Compare that to today, when even a one-day lift ticket at Copper will set you back $177. Season passes are also an insurance policy for resorts, since they’re typically sold before anyone can really know if the snow will be good or bad in a given year. Belin attributes the increases in ticket prices over time to inflation as well as the sheer cost of operating a ski resort. After all, he said, it’s not like much of the work at ski areas is truly automated, meaning that they need manpower, which costs money. Supply and demand is also a factor – especially in a state that’s growing as much as Colorado, where resorts often experience long lift lines and overcrowding inside common areas. Cheaper tickets would exacerbate this issue, Belin said. Melanie Mills, the president of Colorado Ski Country USA, said the state hosts 22 to 24 percent of skier visits in the U.S. each year. Those skiers are from every demographic, with in-state visitors being a little younger than the ones coming from across the country and internationally. "Younger skiers are more plentiful in terms of raw numbers, but they ski fewer days than older skiers, who have more leisure time," she wrote in an email to 9NEWS. The price of a daily lift ticket, Mills said, isn't a factor in attracting skiers to Colorado. Anyway, Mills said most tickets are priced dynamically and skiers can easily shop. Sites like Liftopia offer lift tickets at an often steep discount, and the rising costs for non-pass holders have proven beneficial for smaller resorts. One example is Snowy Range, a ski area with only five lifts near Laramie, Wyoming. Belin said more people on the Front Range are opting to ski here – where a one-day adult lift ticket is less than $50 – instead of the “name-brand” places on I-70. “We’ve definitely seen bigger groups than we have in past years,” said Ellie Southerland, the director of marketing operations for Snowy Range. This hasn’t led to the overcrowding Belin has talked about … yet, Southerland said. She did have to wait in a lift line once, though.